If you’re a committed Evernote user, you’ve probably got a ton of information saved to your account that, if it were lost, would be a catastrophe. Granted, Evernote stores your notes locally on your machine as well as on their own servers. This means that if you accidentally delete Evernote from your PC, you can easily download the latest synced version of your notebooks to your next Evernote install. You’ll be up and running again in no time. If you accidentally delete notes from the Trash folder in Evernote, those notes are unrecoverable (even by Evernote support). If Evernote ever ceases to exist (say, Google buys the company, only to shut it down, because Google), your notes could be gone forever. 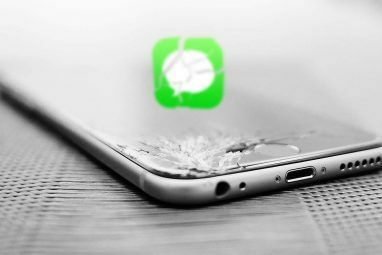 If Evernote’s servers ever had a monumental crash (or were severely hacked), you might be waving goodbye to your notes. However unlikely these scenarios are, the safest course of action is to regularly back up your Evernote content. As long as you have those backups, all of your notes should always be recoverable. If you’re an Evernote Premium user, you need to know about the Note History feature. If you ever accidentally delete a section of a note, and you need to get that content back, this is the most convenient option. To retrieve a previous version of a note, just go to the note in question, click the i icon in the toolbar, then click view history. Pick the version of the note you want to import back into Evernote. It’s that simple. This isn’t exactly a fail-proof backup though. You’re still completely relying on Evernote to store this data for you. To ensure a reliable backup is in your own hands, keep reading. This is by far the best option open to you. Evernote for Windows and Mac has a built-in export feature within the desktop app. This lets you export individual or multiple notes, or even entire notebooks (one at a time). If you regularly save those exports to a cloud service or an external drive, you’re well on your way to ensuring you won’t lose your data. Export a note(s): Select File > Export Note(s). Export a notebook: Right-click on a notebook and select Export Notes. Select Export as file in .ENEX format from the format options box. Select Options and check the Tags box. Click the arrows on the Format field and select Evernote XML format (.enex) from the dropdown list. Check the Include tags for each note option. These .ENEX files are formatted so that your notes (and tags) can easily be restored to Evernote at any time. They do not back up note links or notebook stacks. You’d have to add these again manually when the time comes. Unfortunately, you can only export one notebook at a time. If you organize Evernote using this scalable system The Best Way to Organize Evernote: Use Tags The Best Way to Organize Evernote: Use Tags Is your Evernote a huge mess? We show you a simple tweak that'll help you organize your notes like never before. Read More , you’ll only have a few notebooks. No big deal. But if you have a lot of notebooks, this might take some time. Note: Only choose to export as a HTML file if you want the backup to work independently of Evernote. Importing this file into another service will be more complicated. Plus, it won’t include any tags assigned to notes. Within Evernote go to File > Import, and select the .ENEX files you want to import. Be sure to check the import tags box, then click Open. Your notes will import in a new notebook. You can then copy or move these imported notes to any notebook you wish. It goes without saying that you should be backing up your entire PC in case disaster strikes. For this, Windows has Backup and Restore The Windows Backup and Restore Guide The Windows Backup and Restore Guide Disasters happen. Unless you're willing to lose your data, you need a good Windows backup routine. We'll show you how to prepare backups and restore them. Read More . Mac users have Time Machine How to Restore Data From Time Machine Backups How to Restore Data From Time Machine Backups It's really easy to set up Time Machine, the backup software that comes with every Mac — but how do you get your files back when things go wrong? Read More . If you’re regularly backing up everything on your PC, your Evernote database should be included by default. If you’re only backing up certain folders, you’ll want to make sure your Evernote database is also included. For this, you’ll need to point your backup application to your Evernote database. You can find your database location by holding Option within Evernote, then clicking Help > Troubleshooting > Open Database Folder. DO NOT CHANGE ANYTHING IN THIS FOLDER! Keep in mind that going anywhere near your local database is massively discouraged by Evernote. Small changes can render a database unusable. Plus, restoring your account from this database backup is pretty complicated. Follow the following instructions at your own risk. 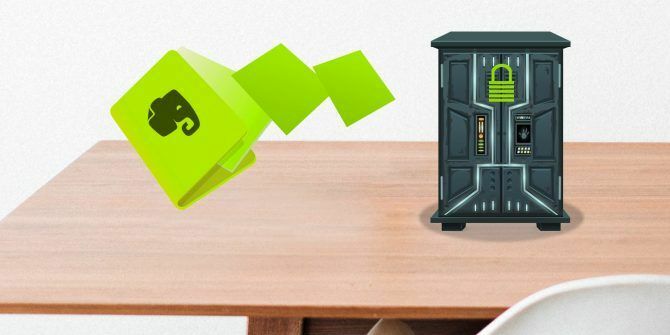 Evernote Support told us that if you ever need to restore a database folder from an automatic backup via Backup & Restore or Time Machine, you should submit a support ticket, and Evernote’s support team will guide you through the process. Evernote always prioritizes its most recent online sync. So, if you simply paste a previously backed-up database over your current database, when you connect to the internet, Evernote will overwrite that database with the one stored on its own servers. Evernote databases are pretty complicated. You can’t just restore an individual note or notebook. You have to restore the entire database. Disconnect your computer from the internet (this is very important) to ensure Evernote doesn’t overwrite your restore. Go to the database folder. For Windows Users: Tools > Options > General > Evernote Local Files. For Mac Users: Press and hold the Option key on your keyboard, then select Help > Troubleshooting > Open Database Folder. Keep the database folder window open, then exit Evernote by going to Evernote > Quit Evernote. Move the numbered folder from the database’s current location to your computer’s desktop. Move the backed-up database folder (from Backup & Restore or Time Machine) into the database location in Step 4. Export any notebooks you wish to save by right-clicking the notebook name and selecting Export, then selecting .ENEX format, making sure to export tags. Do this for all the notes and notebooks you’d like to retrieve from the old database (keep this safe in case anything goes wrong). Reconnect to the internet and let your database sync back to your old database from Evernote web. Import the .ENEX files from Step 7 by going to File > Import. With this process, you are temporarily restoring an old database, and grabbing the notes you want to restore permanently. When Evernote has synced back to the version on the web, you then import those notes you want to restore. It’s clunky, but it’s a last resort in case your database is ever severely lost or corrupted. All you need to do is make sure you’re backing up your Evernote database each time you back up your PC. 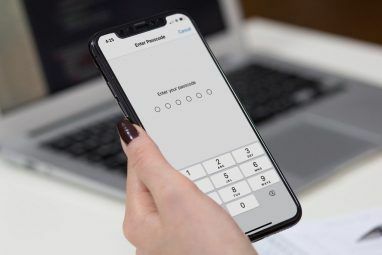 With each of us having so much valuable data stored on our devices, and within Evernote, it’s important to know these are backed up securely. 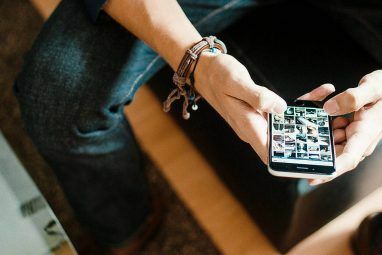 With a proper system in place, you can ensure your photos are kept safe Back Up Your Photographs Automatically With These 8 Tools Back Up Your Photographs Automatically With These 8 Tools Not sure which are the best tools that let you automatically make backups of all the photos on your PC? Don't worry, we've listed our top eight. Read More , WhatsApp messages How to Back Up WhatsApp Messages to Google Drive How to Back Up WhatsApp Messages to Google Drive The newest WhatsApp update makes it easy to perform automatic backups to Google Drive. Here's how to get it. Read More are backed-up, emails are stored securely Backing Up Your Microsoft Outlook Emails Made Simple Backing Up Your Microsoft Outlook Emails Made Simple Backing up old emails can seem complicated, but it doesn't have to be, especially if you're using Microsoft Outlook. We show you how simple the process of archiving and storing emails can be. Read More , and, of course, your Evernote notes are in your own hands. This will protect you in case any of the services you use somehow lose or delete your data. As they say, it’s better to be safe than sorry. Do you regularly back up your Evernote notes? If not, why? Explore more about: Data Backup, Evernote, Restore Data.